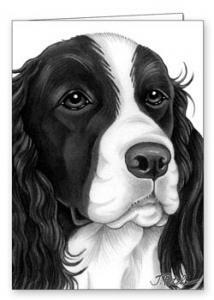 Striking black and white note card by the artist Tomoyo Pitcher. The card is 5" x 7" and comes with an envelope. It is blank inside the card. We are selling two cards as a set. These are so attractive you may not want to use it! They also have framing possibilities.